It was not a good morning. At. All. I had accomplished the crazy morning dash of getting the kids ready for school and out the door on time, but as I pulled into the empty parking lot I realized we were on a two hour fog delay. At least, that’s what I assume. We didn’t have fog by our house, and since this was before the days of text notifications for delays and cancellations, parents were left to their own discretion to check the radio or TV for delays. I, obviously, hadn’t deemed it necessary to check, so here we were sitting at school fully ready for the day two hours early. But the day was about to get worse. Grumbling about how we could have all slept in, I debated my next move. I really didn’t want to return home just to come back shortly thereafter, so I figured I’d take the kids with me on a few errands. Since we were already at school, I decided to go to the CVS Pharmacy closest to school, rather than the one I usually frequented near our house. The one near school was a bit more dumpy, it was harder to access from the main road, and the store layout was completely different. I was disoriented and flustered, and it turns out that the product I was looking for wasn’t even in stock there. Lovely. Waste of time, and with the kids pulling at me whining for candy, my mood was getting darker by the minute. I stomped out to the van, buckled everyone in, and started to back out when it happened. Crunch. I backed into another car. If my day had been lousy already, this was quickly spiraling out of control. I sheepishly pulled back into my parking spot and slunk out to inspect the damage. My van had nothing at all. Not a scratch. 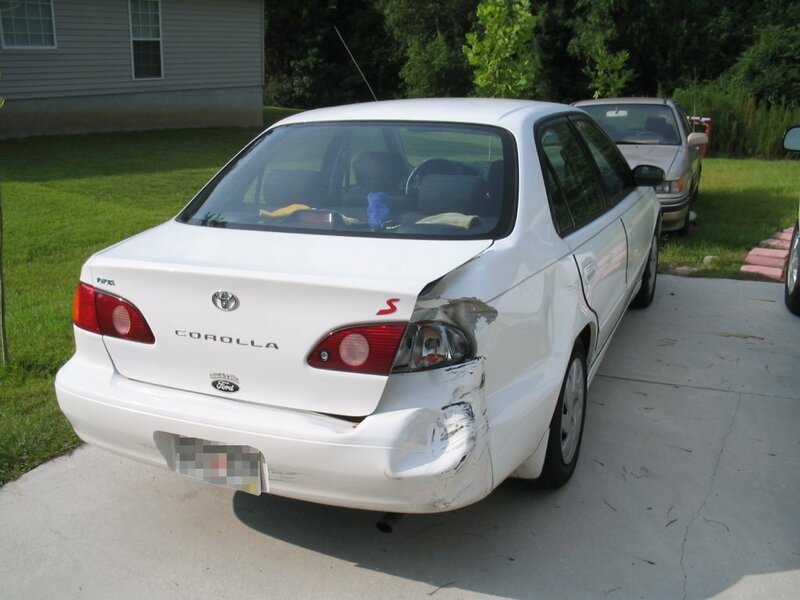 But when I walked over to the other car, a junky little thing, I could see right away the dent in the back fender. Oh, great! Now I was really fuming. If we hadn’t had this stupid delay, I wouldn’t even be here in the first place and none of this would have ever happened! My thoughts were filled with filing claims and rising car insurance rates, even as my kids restlessly pestered me to leave. I sat there for five minutes to see if the car owner would emerge, then I started to write a note to leave on his windshield with my name and number. But just as I finished the note, he came out and headed for his car. It was the moment of truth. I got out of my vehicle and walked over to him and confessed my guilt. I pointed out the dent and waited for him to yell at me or chastise me for being so careless. Instead he looked at the dent casually and said, “Oh, that’s been there for years. It’s not your fault at all.” I hugged the guy on the spot, thanked him for his honesty, and fairly danced to the car, my entire outlook for the day completely turned around. None of the things that had so irritated me that morning had changed, but they all seemed petty now compared to what could have happened. I had been caught red-handed and yet was let off the hook with no consequences whatsoever. Maybe it was going to be a good day after all. On a much, much grander scale, the same thing has happened to every single one of us. You were caught red-handed in the guilt of sin. And it was undeniably your fault. You couldn’t blame it on a pre-existing dent like in my example above. No, you were completely, totally, 100% guilty, with no way out. You had no excuse. All you could do was admit your guilt and wait for the consequences. But amazingly, there weren’t any. God looked at your sin and said, “Oh, that’s already been taken care of, My child. Your debt has been paid. You’re forgiven.” You see, Jesus took your punishment and paid the penalty for sin in your stead. You didn’t deserve it, but He did it out of love for you. Does that take away the day-to-day irritations and hardships we face in life? No. But when we compare those things to the price He has already paid, all else pales in comparison. Your biggest debt has been erased. You’re free. It’s going to be a good day after all.